A few months ago Bloop Animation released a video explaining Jon Negroni’s unified Pixar Theory. Now Bloop is once again examining Pixar, but this time with a more academic point of view. 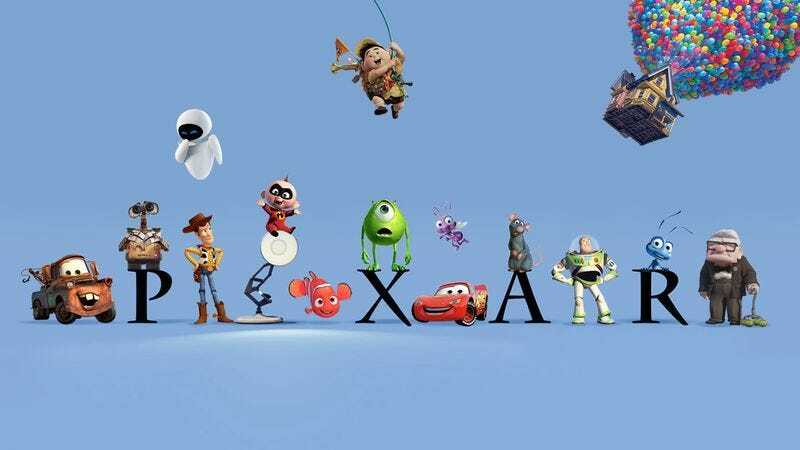 In the “Pixar Storytelling Rules” series, writer Dean Movshovitz uses Pixar films as the lens through which to analyze basic storytelling beats. The ongoing series will explore various facets that make Pixar films successful, but this first video focuses on the core ideas that motivate Pixar plots. Drawing from Emma Coats’ “22 Rules Of Storytelling According To Pixar” and Joseph Campbell’s hero’s journey, the video posits that all Pixar films (and most good films in general) center on a call to adventure that pulls a hero from his comfortable world to a new, unfamiliar one. In Toy Story, Woody must learn to live in a world in which he isn’t Andy’s favorite toy when Buzz arrives. In Finding Nemo, Marlin must cross an entire ocean to find his abducted son. In Ratatouille, Remy rejects rodent cultural norms and follows his love of cooking to a dangerous human kitchen. Movshovitz argues that watching a character react, fight, and grow in his new surroundings is what makes these Pixar films so compelling.